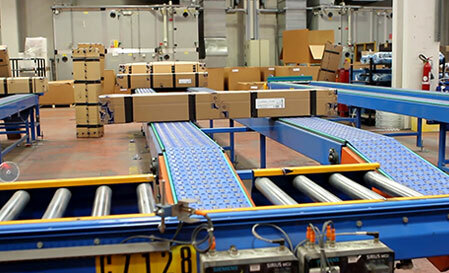 Highly innovative Autowarehouse concept featuring direct handling and storage of single rolls. 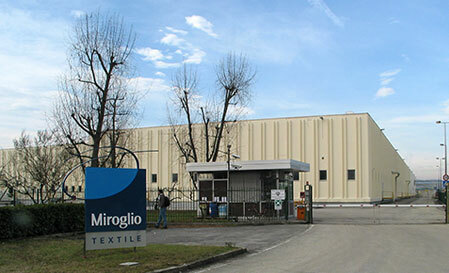 No internal carrier trays or bins are used. 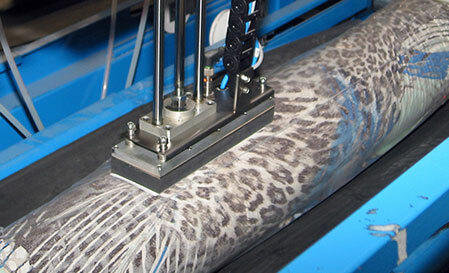 This concept is highly suitable for those frequent cases involving a very large number of product types and codes, and preparation of highly mixed shipping or distribution orders. 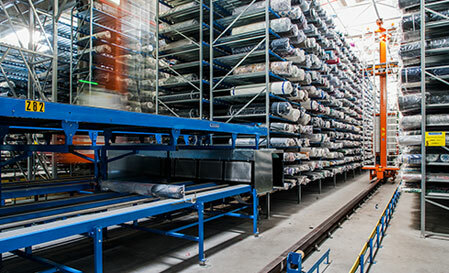 High-performance AS/RS (Automated Storage and Retrieval) cranes equipped with special workheads designed for pick-up and handling of single fabric rolls. 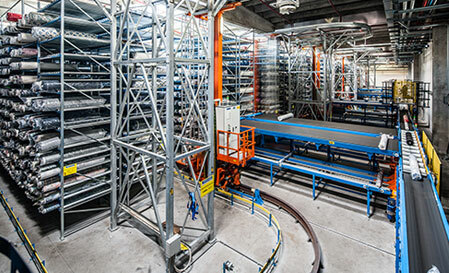 Storage system consisting of multiple shelving towers. 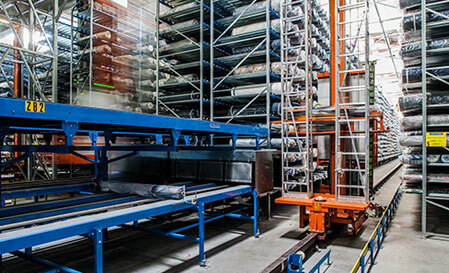 All storage locations have storage channels for correct positioning of the rolls. 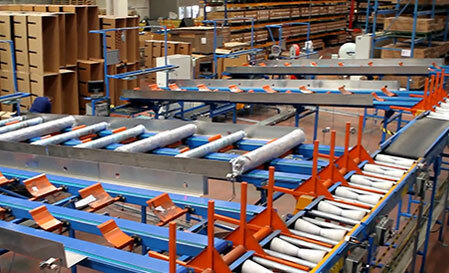 Comprehensive system of infeed, outfeed conveyors and ground transport conveyors. 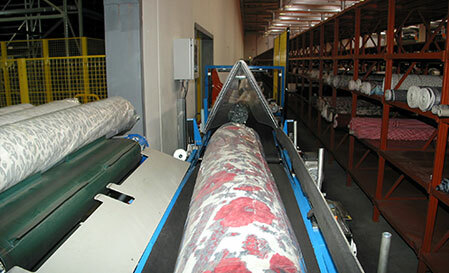 Extensive use of RFID technology, allowing “on the fly” identification and tracking of each roll without stopping its movement on the conveyors. 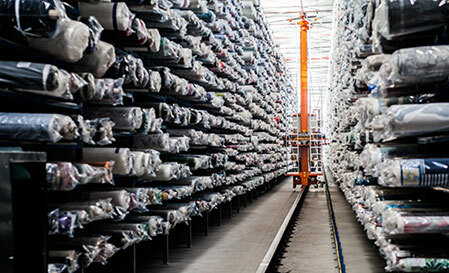 Optimal utilisation of the available storage volume.